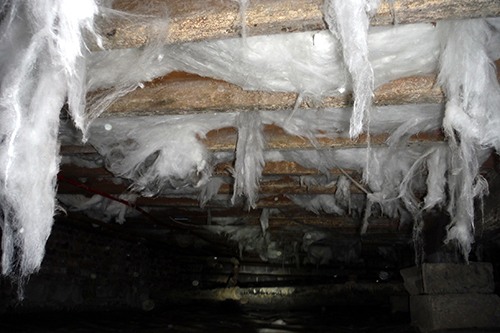 Is your crawl space a problem? If your house has a traditional, or vented crawlspace it could be a problem that is negatively affecting your home and your health. 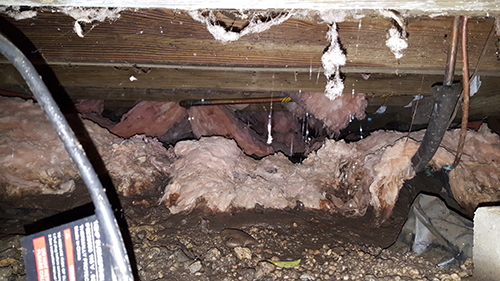 Most traditional crawl spaces typically have: fiberglass insulation installed in the floor, foundation vents installed around the perimeter of the foundation, and a vapor barrier on the ground. 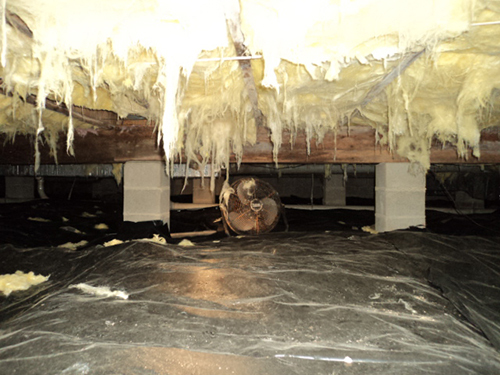 What are the Three biggest issues with a traditional crawl space? Foundation Vents: Most of our homes were constructed in an era when the belief was that foundation vents were necessary to allow air flow under homes. Foundation vents were introduced into construction in the 1940’s when homes were not air conditioned. The introduction of air conditioning significantly changed how our homes interact with the environment. 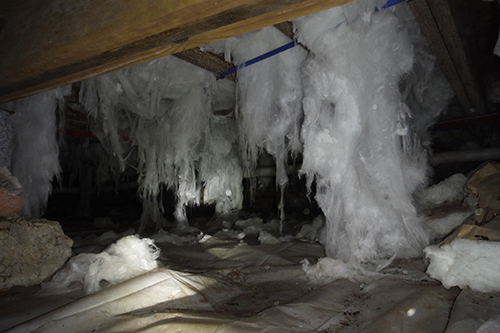 The floors in our homes, which are also the ceilings of our crawl spaces, are the coldest point in a home. This means that floor joists, insulation, pipes, ductwork, etc are below the dew point most of the summer months. This creates a very damp and wet environment similar to a cave. 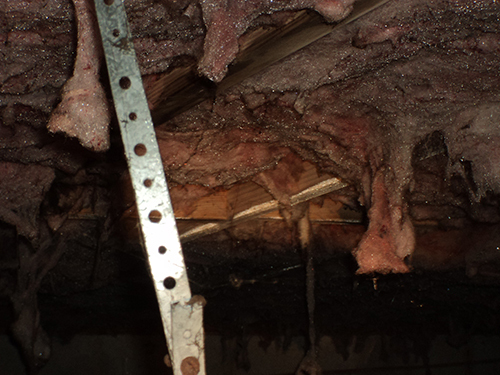 Once the insulation gets wet it will start to deteriorate and fall. The fiberglass insulation will collect dust and dirt over time creating an environment where mildew/mold (fungus) will grow. The wood framing in the crawl space is another surface that can support mildew/mold (fungus). In some cases this can create significant structural issues due to moisture damage. Building science has proven that foundation vents are an avenue to introduce moisture into the crawl space in the form of humidity. Vapor Barriers: The first vapor barriers appeared in the 1950’s when some contractors were installing felt paper (tar paper) on the ground under homes. The majority of builders did not adhere to this practice due to cost. 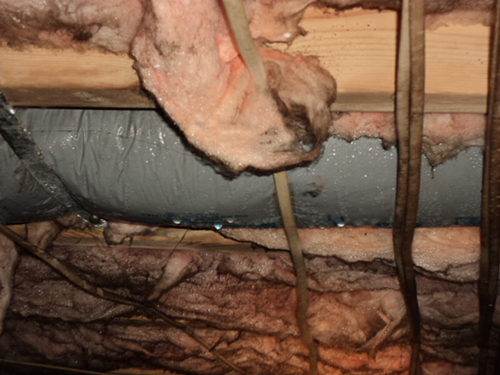 Then in the late 1960’s and early 1970’s a foil style vapor barrier was commonly applied to the floor joists. This product actually worked well except it made it difficult to perform termite inspections. Contractors were continually tearing it down to access plumbing and electrical. In the late 1970’s and early 1980’s insulation with a vapor barrier was installed in crawlspaces. The ground during this period of time was rarely covered with any type of product. 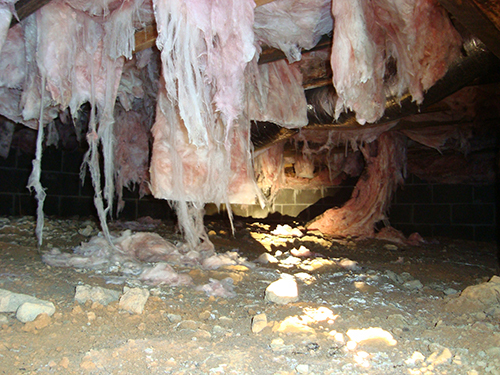 In the 1990’s 6 mil plastic was used to cover a portion of the ground in the crawlspaces. 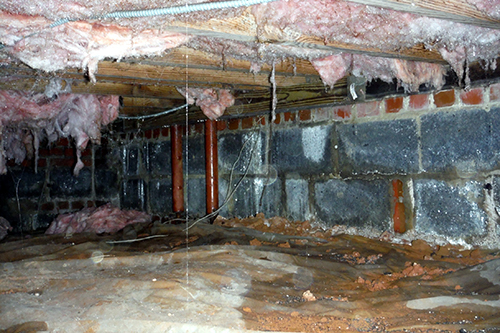 Moisture is constantly evaporating out of the soil and is a large contributor of moisture in crawl spaces. Insects and Rodents: High moisture content increases the opportunity for a variety of insects, including termites, as well as rodents to easily live in your crawl space. 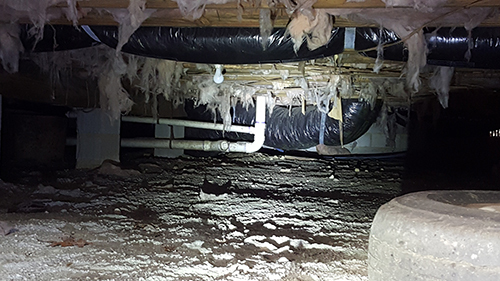 Browse our gallery of traditional crawlspace conditions below, and other helpful images in our image gallery. Email us today to schedule an appointment.